For the soap opera, see Paradise Bay (TV series). 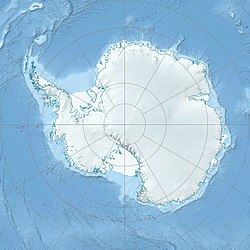 Paradise Harbor, also known as Paradise Bay, is a wide embayment behind Lemaire and Bryde Islands in Antarctica, indenting the west coast of Graham Land between Duthiers and Leniz Points. The name was first applied by whalers operating in the vicinity and was in use by 1920. It is one of only two harbors used for cruise ships to stop on the continent; the other is Neko Harbour. Argentina's Almirante Brown Antarctic Base stands on the coast of the bay, as does Chile's González Videla Antarctic Base. In 1950 a shelter was erected near the Chilean Base to honour Gabriel Gonzalez Videla, the first head of state to visit the Antarctic. The shelter constitutes a representative example of pre-IGY activity in Antarctica. It has been designated a Historic Site or Monument (HSM 30), following a proposal by Chile to the Antarctic Treaty Consultative Meeting. The bedrock at the head of Paradise Harbor is porphyritic andesite from Jurassic Andean volcanism. The green mineralization to the right of Almirante Brown Station is metamorphic epidote. ^ "List of Historic Sites and Monuments approved by the ATCM (2012)" (PDF). Antarctic Treaty Secretariat. 2012. Retrieved 2013-10-28. This article incorporates public domain material from the United States Geological Survey document "Paradise Harbor" (content from the Geographic Names Information System). Wikimedia Commons has media related to Paradise Harbor. This Danco Coast location article is a stub. You can help Wikipedia by expanding it. This page was last edited on 10 January 2019, at 22:48 (UTC).